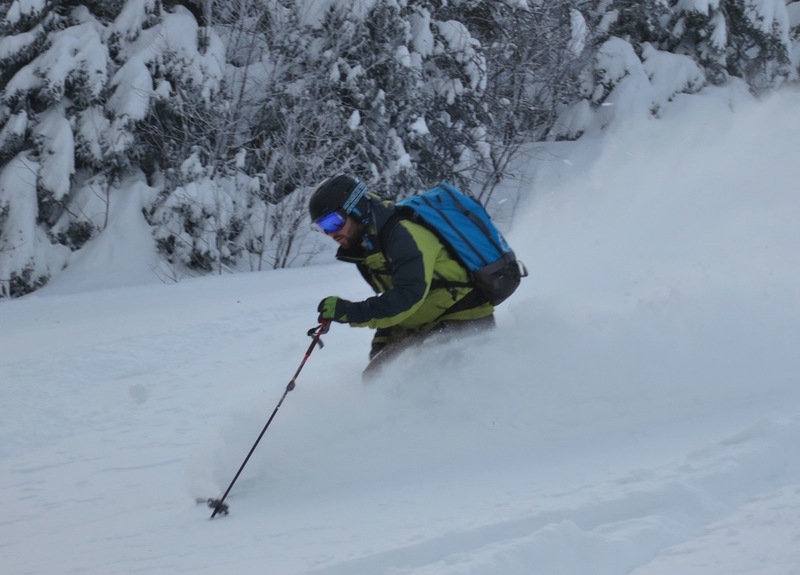 “Backcountry skiing” means different things to different people. 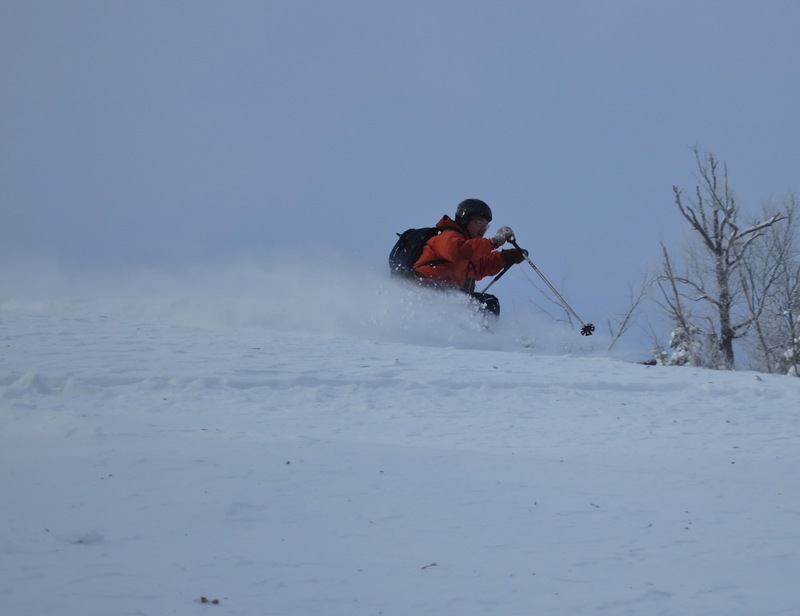 When I started skiing, it meant skiing on state land and making tracks in ungroomed snow. At first, we followed trails marked by the state. As we became more confident, we’d set off with a destination in mind, a USGS topo map and a compass. 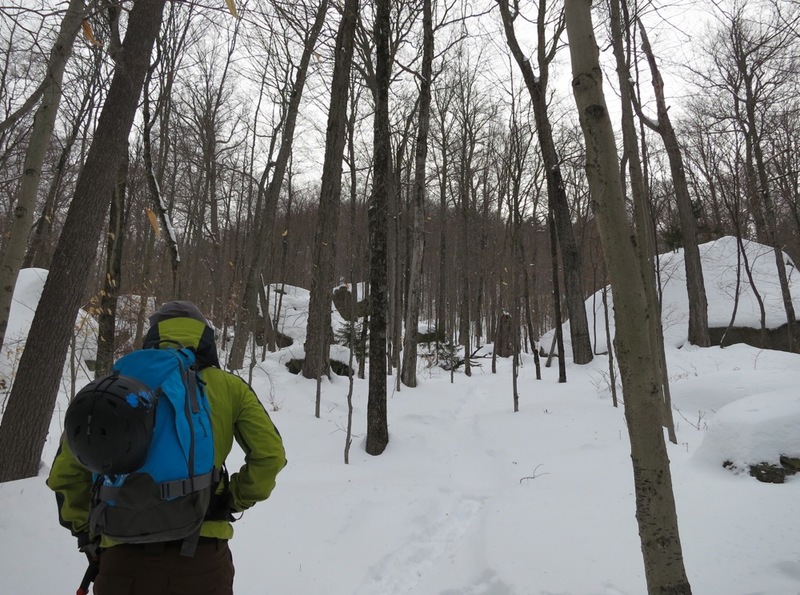 Other times we’d look for hunter’s paths to follow, which are seemingly everywhere in the our corner of the Adirondacks. 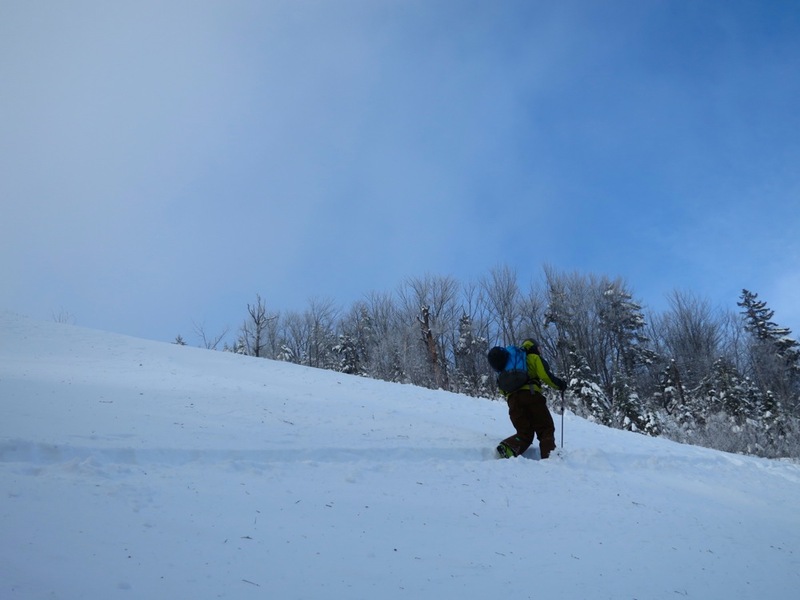 In the last ten years, I’ve been drawn into lift-served skiing for several reasons. For one thing makes skiing in November possible. Plus, with a young child, it’s just easier. And yea let’s face it, it’s a hell of a lot of fun. All that vert, and in between runs you’re chatting it up with friends and family. It’s easy to like it. But if you’ve spent time earning your turns and skiing without lifts, that has a strong draw too. It’s a more subtle experience, and having been away from it for a while I’d forgotten how exhilarating it can be. Over the recent holiday, I was offered the chance to ski with some friends, to do some skinning, take in some beautiful views, and ski snow that was surprising unaffected by wind or sun, given it’s exposure. I’ve always enjoyed climbing. With regard to the downhill, I don’t think I’ve ever skied anything that steep. After getting beyond that my perception of the pitch, I really enjoyed it. I think soft snow seems to take ten degrees off any slope. 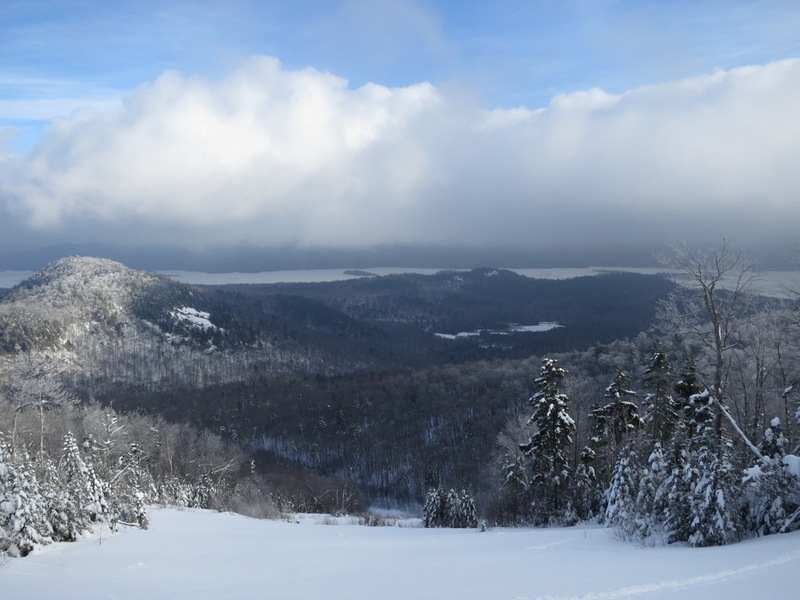 I don’t actually know if this will become an NYSkiBlog backcountry series. Job and family commitments make alpine skiing simpler to manage in many ways. But the exercise and feelings that spring from being out in the mountains, really out there, make me want to try. Guest authors are welcome. Nice. I for one would love more posts on BC skiing. Looks like you had decent snow. Not that icy resort stuff. +1 on more backcountry posts! Nice write up! Excellent report and good for you for getting out there and keeping up with the young folks. After seeing the pic on TGR of you skiing the slide, I was wondering how long it would take to get the story up. I’d love to see this become a backcountry series. I live vicariously through your blog. How about a link from the TGR thread? PDQ – I just posted in the ECRC. I broke the stuff out and made a comprehensive TR on the last week, though. Still needs some editing, but here’s the link. PDQ: here is the link to tBatt’s post on TGR. There is a nice shot of Harv doing a tele turn and another great one of him being a good blogger and taking pictures. It sounds nice. Wish I could do it. Never a “lift” problem in the bc! Noise levels are always a plus (lack thereof really) out there. Ah, as the fall line changes through the trees, one can only go looking for yet another place to do more of the same. Hallelujah!